Billy Kelleher and Mattie McGrath both called on the government to introduce reductions especially since they believe that some pressure has been lifted since a deal was reached on the promissory notes. THE MINISTER FOR Expenditure and Public Reform, Brendan Howlin, said they would debate the terms of the Household Bill for those who cannot afford it and are struggling to repay mortgages when it comes through the Dáil in the coming weeks. The Minister was responding to calls from Fianna Fail TD, Billy Kelleher and Independent TD, Mattie McGrath who both raised the issue separately during Leaders’ Questions in the Dáil this morning. They both called on the government to introduce reductions for people who are struggling, especially since they believe that some pressure has been lifted since a deal was reached last week on the promissory notes. Kelleher referred to yesterday’s CSO report which found that the number of people unable to afford basic necessities has jumped significantly. He said the property tax was unfair and unjust and “doesn’t take into account ability to pay”. McGrath referred to the elderly who are in “desperate” situations and those who have paid a lot of money in stamp duty as examples of groups who should be exempt or have allowances made when it comes to paying the household charge. He called on Howlin to give some relief to the people who most need it. Howlin responded to Kelleher’s and McGrath’s demands by reminding them that “we are still borrowing over a billion a month”. He added that we needed to “broaden the tax base” and part of that is introducing a property tax. Howlin said the “detail of the property tax” will be debated step-by-step and will be looked at “in as fair a way as possible”. Both discussions caused a lot commotion from other TDs around the chamber and the Ceann Comhairle, Sean Barrett, had to interject on numerous occasions. Finally, Howlin defended the ‘snitch clause’ that says people selling their home face fines of €500 if they have not disclosed to the new buyer the correct value of their property, by calling it “open and transparent”. Email “Opposition TDs call for property tax reductions for struggling householders”. 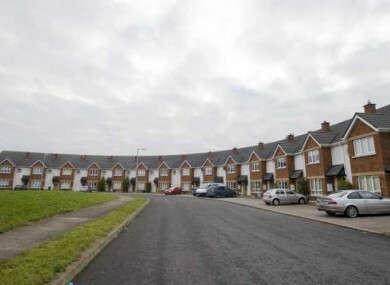 Feedback on “Opposition TDs call for property tax reductions for struggling householders”.